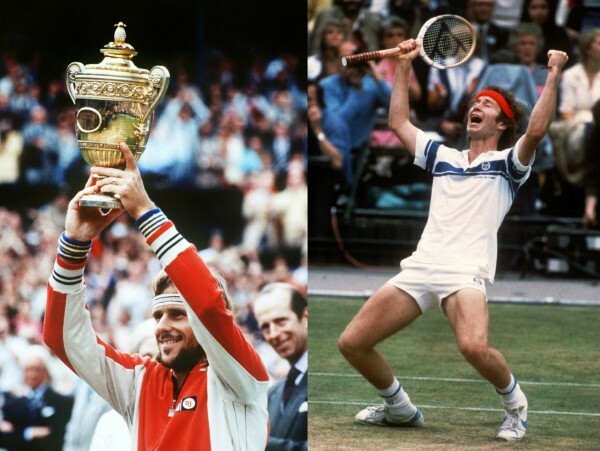 On July 5th of 1980, two tennis players became legends. They played an unforgetable Wimbledon match for who love tennis and sport in general. 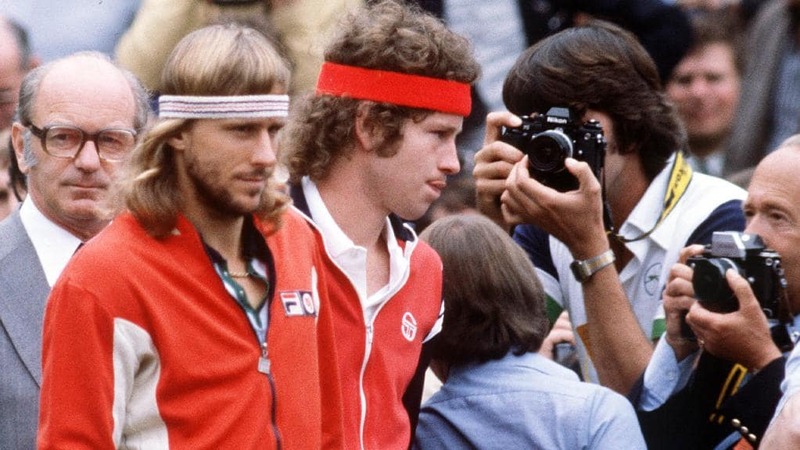 Since that day, Björn Borg and John McEnroe have belonged forever in the All England Club’s hall of fame. That is the magic of Wimbledon, and we love it, that’s why we have released our new Tennis Sweater inspired by our legends brand. Björn Borg, as known as the ‘Ice Man’ or ‘Iceborg’, came to that final with the objetive of making history. If he won the prize, he would have won five consecutive championships over the magnificent english court. But, in the other side of the net was the unbreakable John McEnroe. Their rivality is considered one of the greatest moments in tennis history. The match started very well for the american player, his service and net game was being very effective against Borg, the physical prodigy. John McEnroe won the first set 6-1. The next two sets, the number one player at this time, Björn Borg, turned over the game. His solid game and his mental strength could defeat the american player. Borg was winning the match because he could defeat McEnroe’s mental strength, but McEnroe never gave up. The fourth set was an amazing battle and it is considered as one of the best sets played in a tennis court. The tie-break was breathtaking. Finally, John McEnroe won it 18-16, so both players had won two sets. The fifth set was the decisive one. In the last set, both players consumed all their energy and the crowd couldn’t belive what their eyes werc seeing. Finally, Borg broke McEnroe’s service in the thirteenth game and he won his fifth consecutive Wimbledon. The next year, Borg and McEnroe played again the Wimbledon final, but that time, Borg was defeated in a four set match. John McEnroe won his first Wimbledon that year. This is one of the most important moment in Wimbledon history, and posibly being the great Wimbledon match. We are so proud to share it with you. emember, in our Slazenger Heritage Shop you will find different stylish sweaters, like the Tennis Legend Number 3.